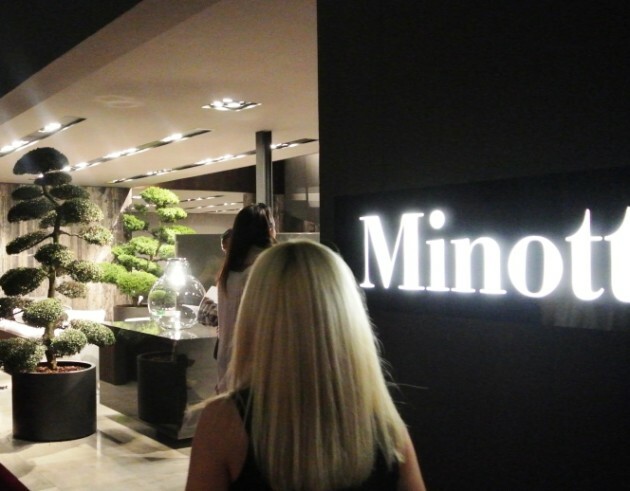 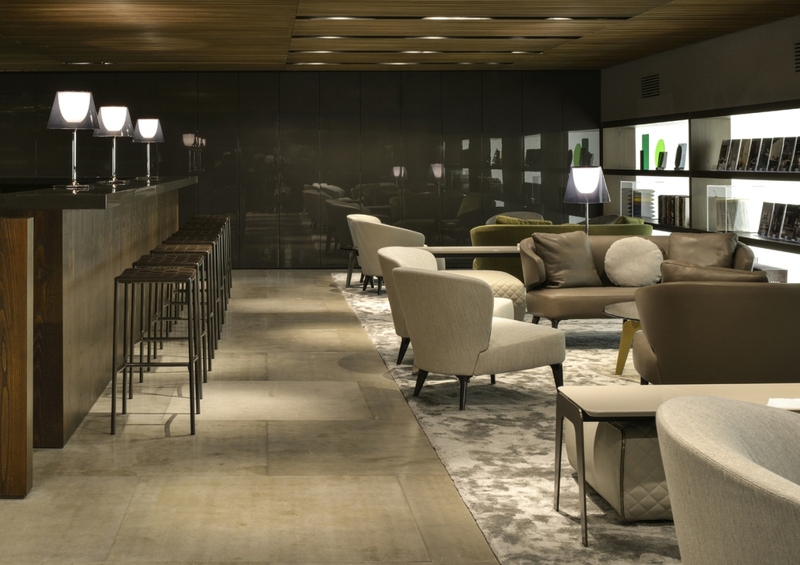 Minotti skillfully creates spaces through the use of dividing walls, that interact among themselves through an interplay of differing heights and overlapping various elements, and a blending of materials and finishes designed to produce a dynamic separation of the various settings, in which the new products from the 2014 collection are displayed. 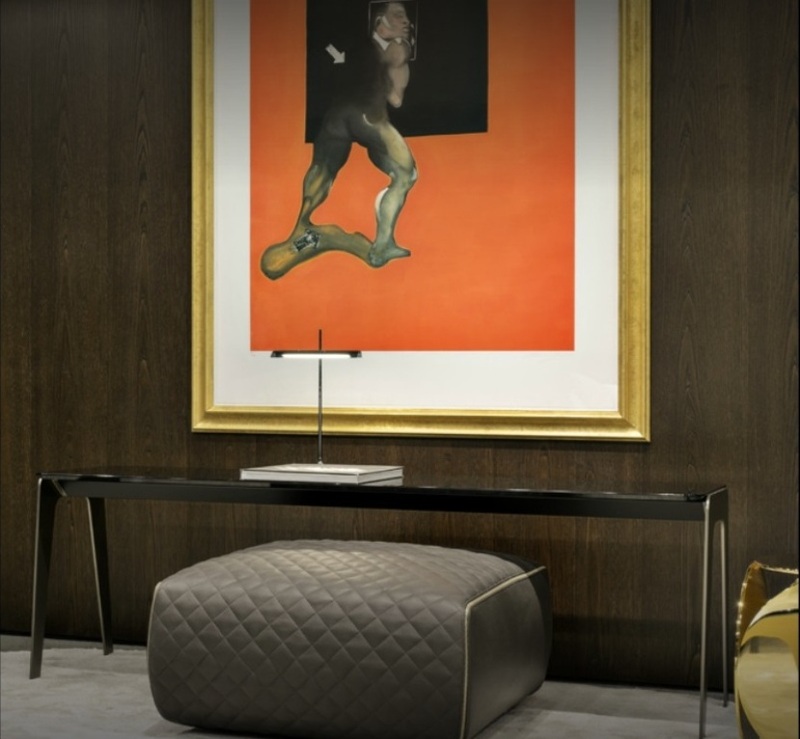 The eye-catching allure of the dividing elements lies in Minotti’s sophisticated choice of materials and finishes, ranging from burnished brass, to the walls that recall the doric design – revisited with a modern twist in the typical Minotti grey – to the chestnut panelling, and to the glossy lacquered partition walls in shades of granite or chalk white. 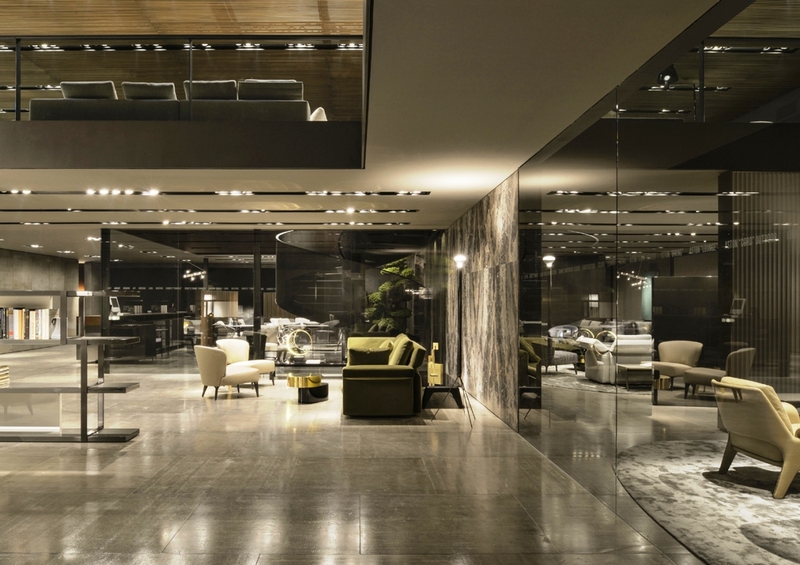 These elegant juxtapositions of materials and colours introduce a modern decorative note that calls to mind various styles: from the more classic to art deco, always revisited with a modern twist, thanks to the interpretive ability of Minotti to pick up and often anticipate trends. 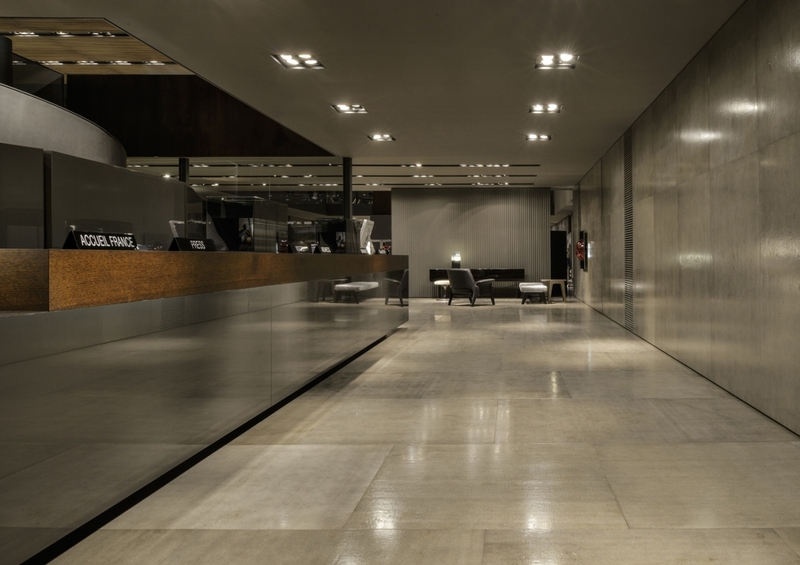 The floors are enhanced with the classic cement effect, easily recognizable as Minotti style, made even more contemporary by the presence of many Dibbets rugs – in the new tonneau shape – that add their own statement to the surprising dynamism that sets this year’s project apart. 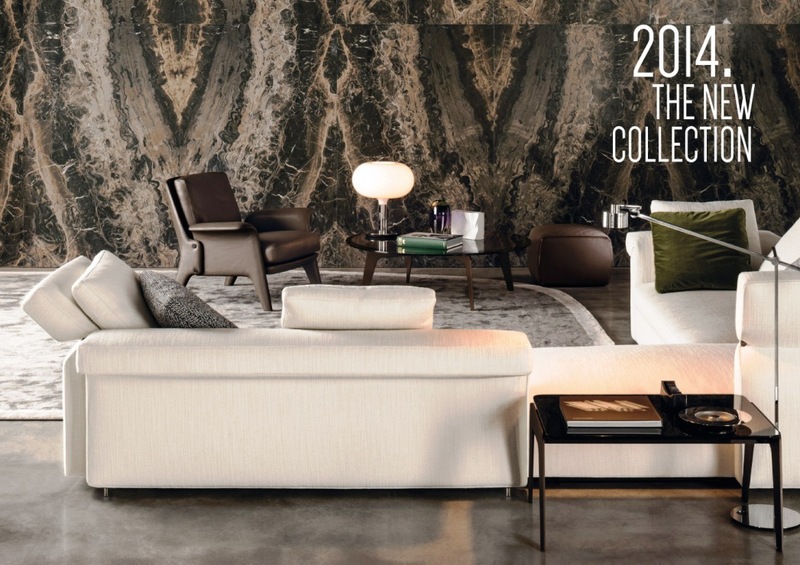 The 2014 Collection reflects a cosmopolitan spirit, shuns the serial and shows a strong link with tradition. 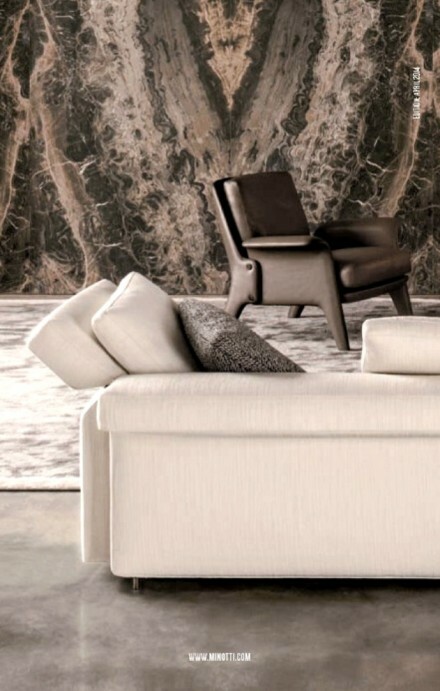 I would love to meet the designer who has created a marvelous sample of interior designing. 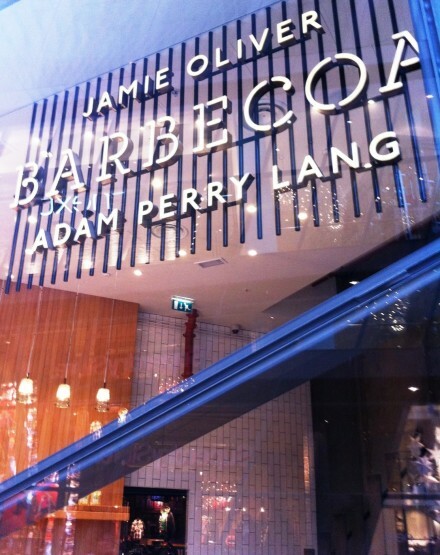 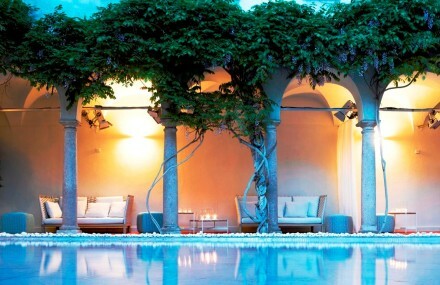 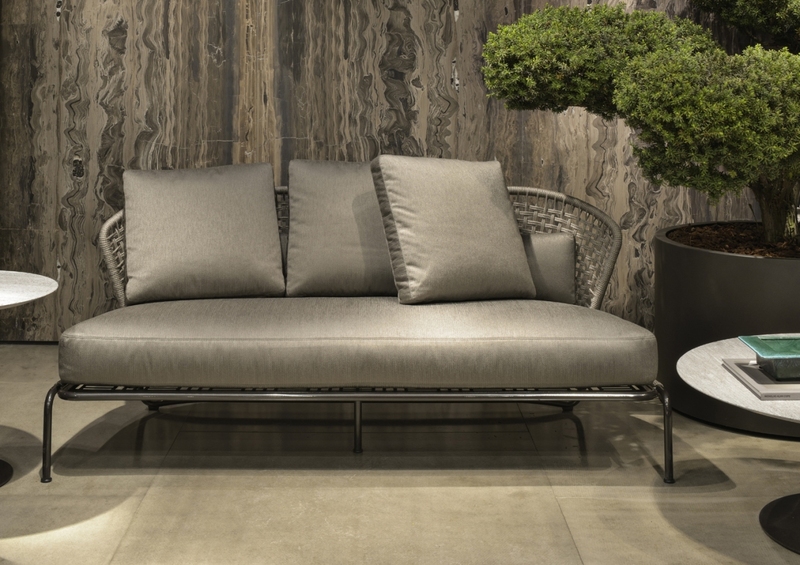 I am very fond of interior design, so I know it takes a lot of efforts to transform a regular site to a beautiful place ! 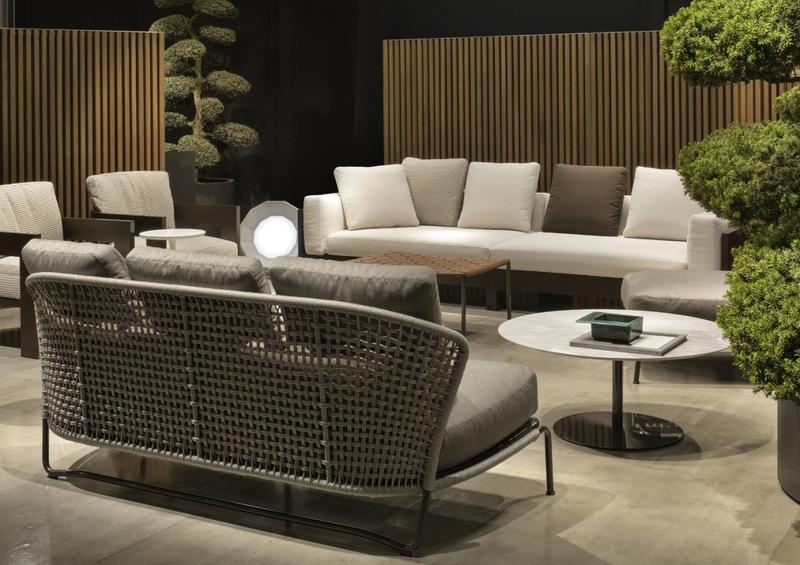 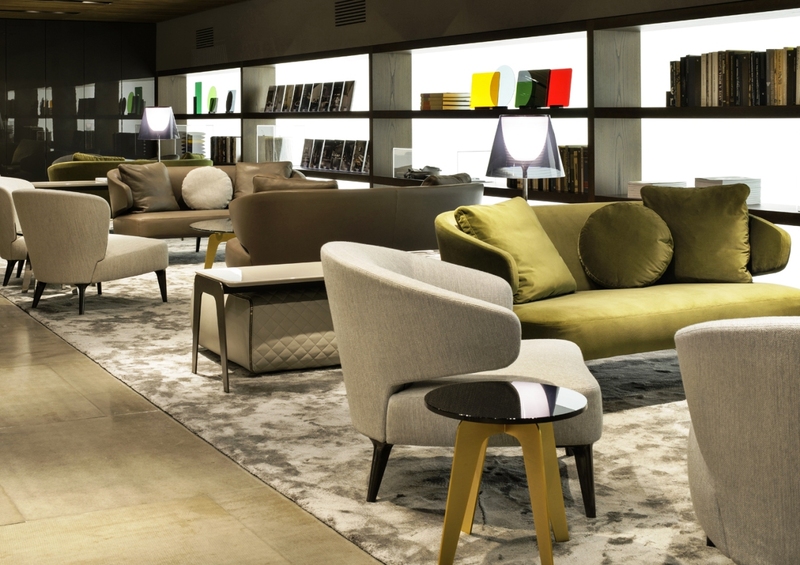 Minotti’s 2014 collection exhibits a cosmopolitan spirit, eschews mass production, and honors its strong ties with tradition. 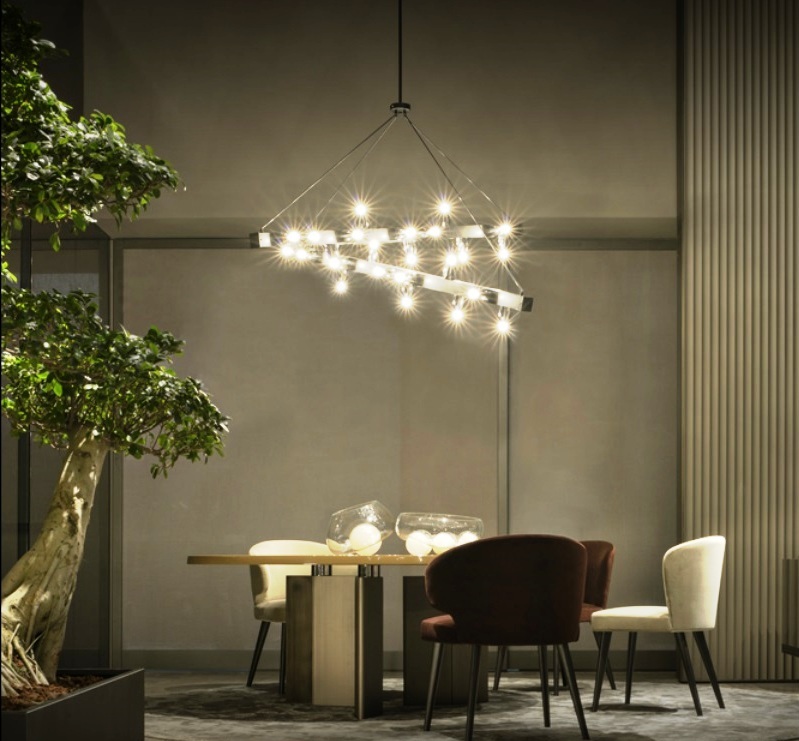 It unfolds through an authentic dialog between formal elegance inspired by the history of Italian design, the value of craftsmanship, the rigor of industrial design and the insight to capture contemporary trends. 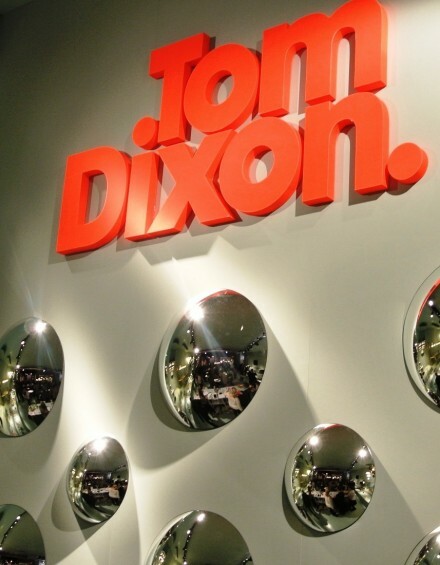 Tom Dixon is still on a mission to design, illuminate and furnish the future with innovative lighting, furniture and accessories of longevity, simplicity and a materiality inspired by Britain’s unique heritage. 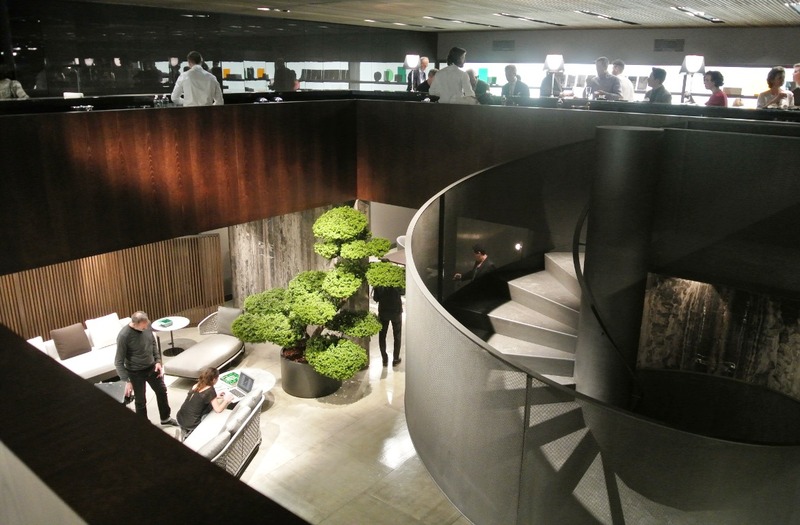 For 2014 his theme was based upon the archetypical British members’ club which he reworked into a contemporary version – a modern day home-away-from-home, a plush and cultured haven where pleasure and work collide.. 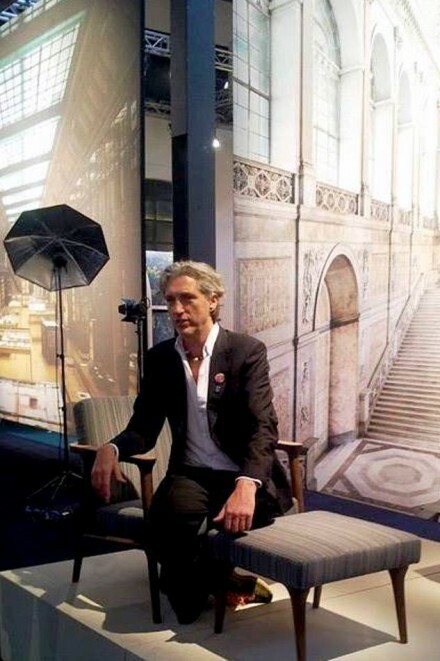 Bringing to mind a magnificent world of entertainment, circuses and furniture fairs, Maarten Baas’s newest solo exhibition will bring an extravaganza-like element to this year’s Salone del Mobile. 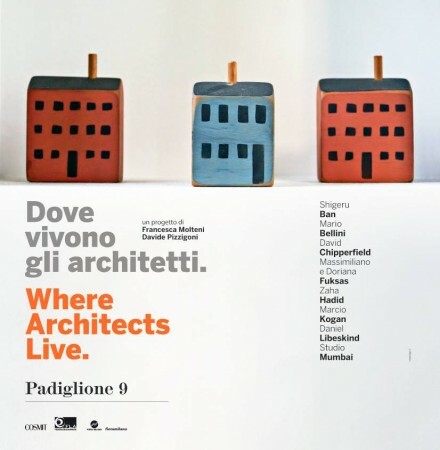 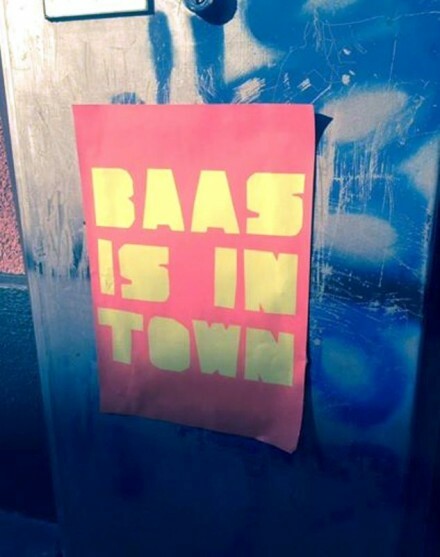 The exhibition “Baas is in Town” will showcase a range of objects varying from new designs to improved older creations. 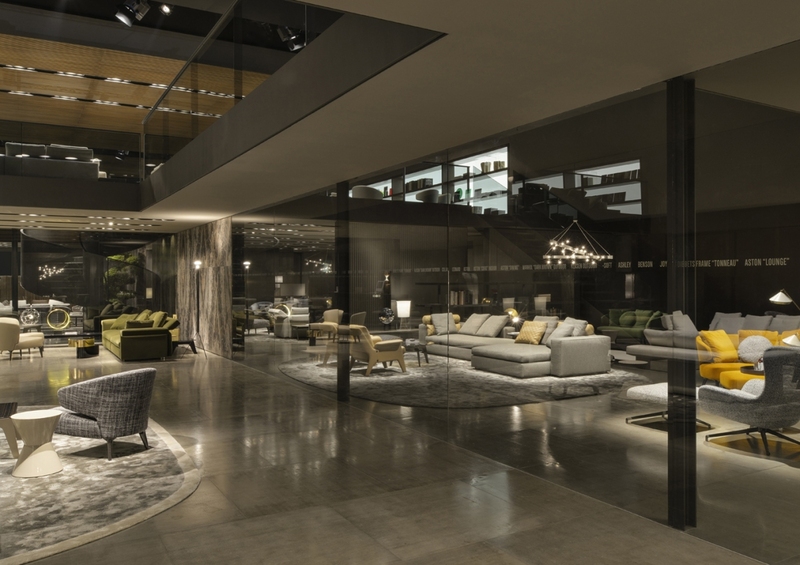 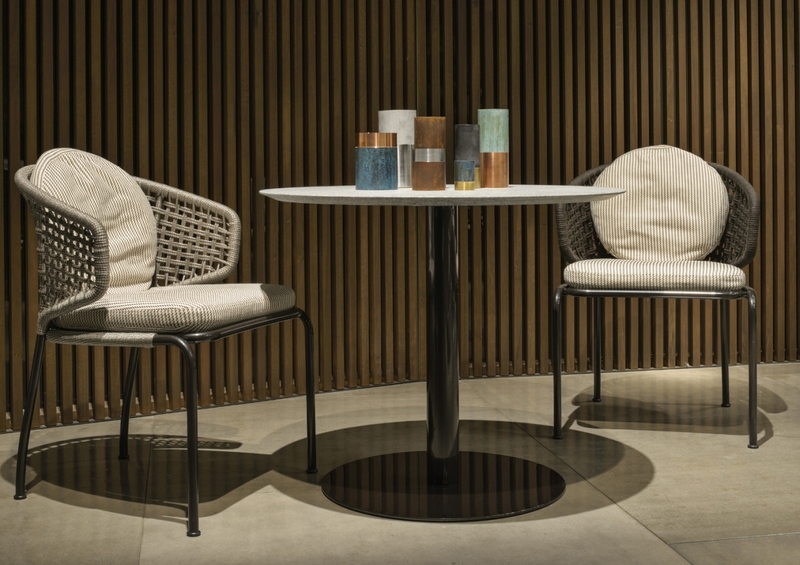 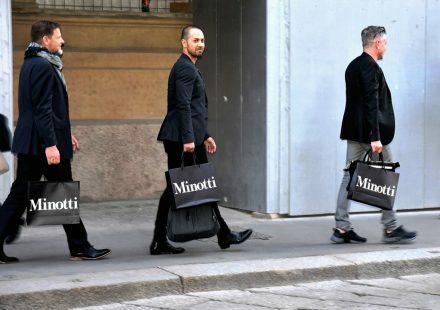 Minotti preview presents the new collection coordinated entirely by Rodolfo Dordoni that also includes some products designed by Christophe Delcourt. 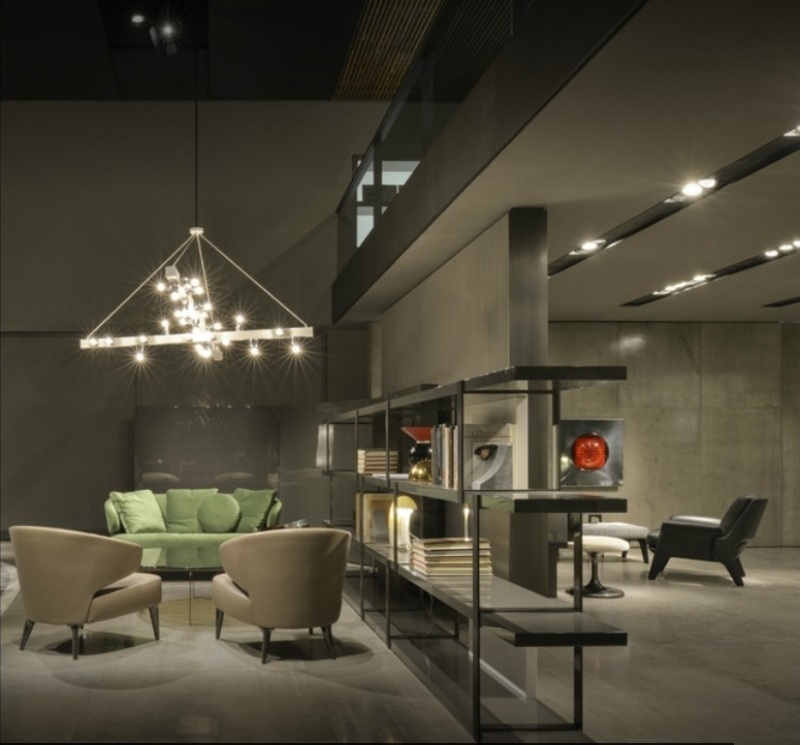 Moooi presented an assembly of vibrant living quarters and original product displays, blended into the timeless atmospheres of a unique exhibition of awe-inspiring 4.5 mtr high photographs by Italian maestro photographer Massimo Listri. 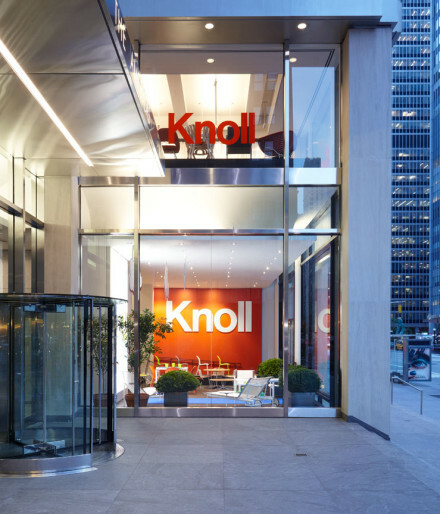 This week, Knoll New York celebrated the opening of its new flagship showroom and offices. 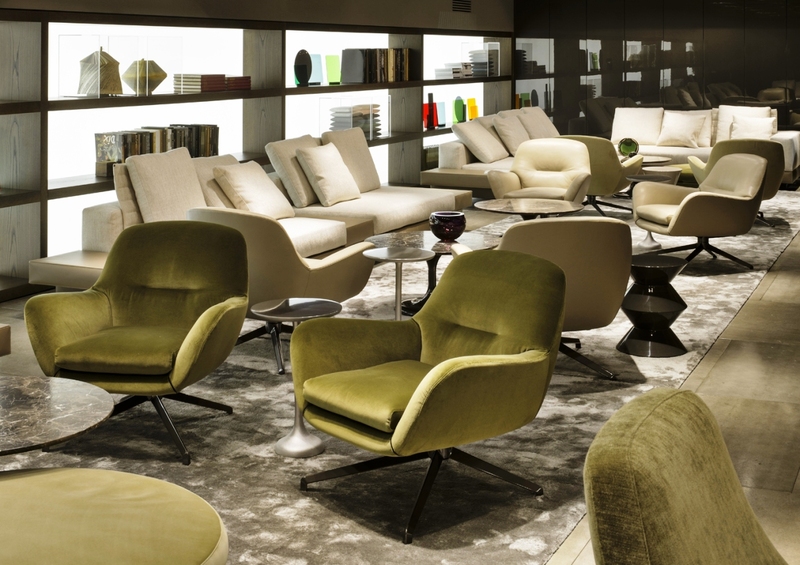 The company’s return to the same neighborhood where Hans and Florence opened their first showroom in 1938 acknowledges the company’s roots in workplace design. 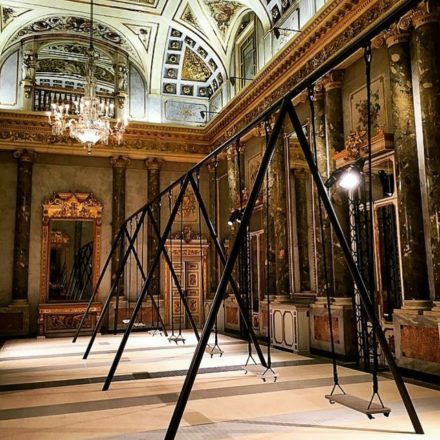 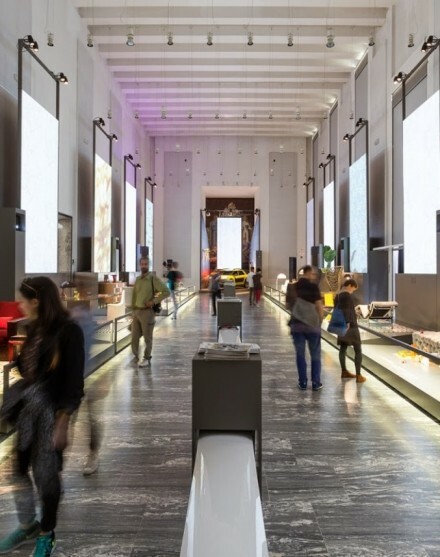 During Milan Design Week 2015, leading manufacturer of premium quartz surfaces, Caesarstone, presented ‘ Movements ’ — an interactive installation presenting an eight-piece swing-set and a collection of handmade planters, both conceived by Philippe Malouin.